An unexpected twist of golden lamé provides an element of sophistication to the Isla Cardigan in black, knitted in a luxuriously soft merino cashmere blend chosen for its softness and breathability. With its relaxed raglan silhouette, dropped hem and deep V-neck, the Isla Cardigan has an effortless style with subtle detailing. Made in the Scottish Borders, Isla black cardigan is hand linked and finished in the local soft waters of the river Tweed. 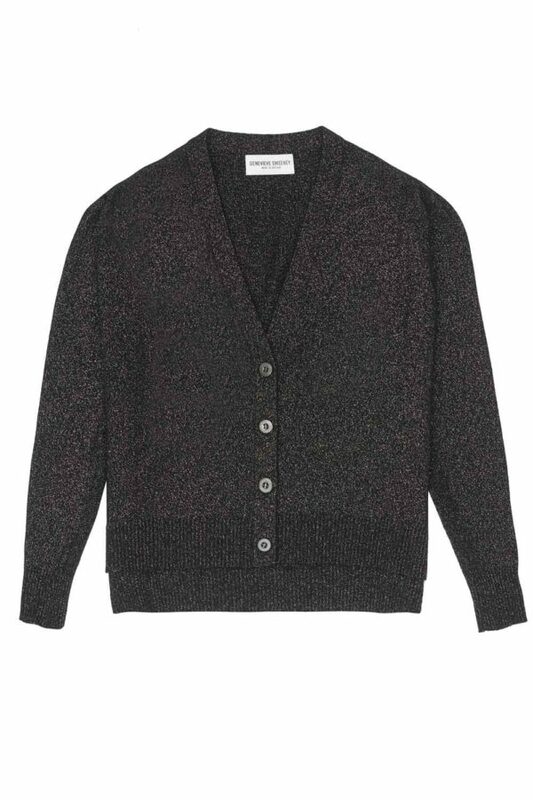 A timeless style knitted with precision, that will become a key piece in your seasonal wardrobe. During the colder months layer over fine knits or wear it solo for a daring edge with a suede skirt.